Computer and digital technology has increased at an astounding rate within the last several decades. With the advent of various informational Internet resources such as social media, online articles, books and so forth many people purport to do thorough research, but lack the understanding of what research means. The advent of search engines has given everyone the illusion that they have done research and are experts on a particular topic. In reality, people simply pull information from unreliable sources, thinking that they have researched a topic thoroughly. What makes a source not reliable? What makes certain information unreliable and untrustworthy? This article will offer information and resources to help people be able to differentiate between what is a valid source of knowledge and what is not. Research should involve a thorough reading and analysis of an adequate number of sources on a given subject. One does not have to have a college degree to do research. But the proper time should be devoted in order to draw valid conclusions that can be held up as reliable research. As a side note, some information cannot be obtained without proper research methodologies and even research tools. Examples of this is research in the natural sciences such as biology, chemistry or physics, or in the social sciences in areas such as history, economics or sociology. With the hard sciences one must conduct countless experiments to arrive at certain conclusions that cannot be obtained by simply reading a lot of Internet articles and watching videos. Furthermore, to do valid historical work one must study many reliable primary sources or conduct countless interviews with people who were present during a certain time period the historian is studying. So in this way, valid natural or social science experiments cannot be replaced by reading a few articles on the Internet. At the very least, one can read the work of experts who have devoted their life to research in a particular subject. Teachers in K-12 schools often have not spent their lives conducting research in their field (Of course there are many exceptions to this). Even though some teachers may not be researchers, they have devoted their lives to studying, reading and mastering their content. In this way, a middle school science teacher (for example) can read thoroughly within a certain discipline and gain a wide enough knowledge base on a topic to become a reliable source of information and somewhat of an expert. The knowledge they have gained was achieved through much time and effort. There is no shortcut for conducting research on a topic thoroughly and adequately. In contemporary times, when many individuals do research, their primary means of gathering information is through the Internet. The Internet can be a great resource for gathering information, problems arise when people cannot differentiate between reliable and unreliable sources. Below are some key components that one should consider when trying to verify if an online source is credible. 1) Identify the source of the information and determine whether it is reliable and credible. A good starting point for this is to identify the name of the writer and or the organization from which the source was derived. Is the source reputable and reliable? Is the person or organization a respected authority on the subject matter? What makes a person or organization an authority on a particular topic? It has become very easy to publish information on the Internet and as a result there are many people purporting to be an expert in a particular field that are not qualified to write on that topic. A good way to understand the danger of this is to liken it to public school teachers teaching subjects outside of their certification in order to remedy teacher shortages. For example, one might find a teacher certified in social studies teaching high school math. In this cases, students are not getting the proper instruction in math. In the same way, there is a lot information on the Internet written by individuals that have no expertise in the particular content in which they are writing about. For example, many people that dispute climate change and global warming are not scientists and often rely on political rhetoric to support their claims. Scientists who do work in climate change have devoted their entire lives to research in that area, often holding undergraduate and several graduate degrees in subjects like geology and earth science. When a person is thought to be a well-known and respected expert in a certain field, they have a proven track record of careful study and research and are validated by reputable institutions that are known for producing reliable research. Often non-experts will spend just a few days or weeks “researching” climate change, in an effort to “dispute” data that is backed by decades of careful research. One does not have to have a Ph.D. to understand and challenge mainstream scientific knowledge, but time and energy devoted to research cannot be bypassed. 2) Checking sources for validity against other reliable sources. It is important when doing research on the Internet to check the provided information against other reliable sources to verify accuracy. For example, if every reputable source reports that cigarette smoking causes cancer and one source says otherwise, the lone source should be questioned until further notice because it has no credibility or way to verify its information. When checking facts and data for accuracy provided in an Internet source one should look for reliable and trusted sources. These might include academic articles, books, universities, museums, mainline reputable religious organizations, government agencies and academic associations. Libraries, universities and professional organizations usually provide reliable information. There is a growing public mistrust of long established institutions that has added to the level of uncertainty about knowledge. But it is important to know that institutions have credibility for good reason. Their history, information and knowledge base is backed by hard work, and long held traditions. 3) Is the information presented in a biased way? When one is reading an article or any information on the internet it is important to determine if that information has a specific agenda or goal in mind. What is the author’s agenda? Does the author or organization have a particular religious, sociological or political bent? These factors determine the validity of an information source. For example, oftentimes newspapers will feature op-ed pieces in which the author states up front that the article is largely based on their personal views. Therefore, when one reads an op-ed piece, they understand going into the article that it will be slanted to the right or left or toward a certain worldview. The article is not be completely useless, but the reader should realize they have to sort through the bias and decided what information is helpful to them in their research. The reader should also search for possible bias in the information presented (Could be political, sociological, religious bias, or other ideas drawn from a particular worldview) and or even claims made that seem unrealistic or unreasonable with no evidence to back it up. 4) Search for citations that support the claims made by the author or organization. It is also important to note that the end designation of a website can help determine credibility. When websites end in “.com” they are often are for profit organizations and trying to sell a product or service. When one comes across a site that ends in “.org” they are often non-profit organizations and thus have a particular social cause they are trying to advance or advocate for. Government agency websites always end in “.gov” while educational institutions end in “.edu.” Government agencies, educational institutions or non-profits generally offer reliable and trustworthy information. Teachers in middle and high schools attempt should spend more time having students do research papers as it teaches students the value of citing valid sources. The projects often call for proper citations using one of the various styles of citation with the most popular being APA, MLA and Chicago. Below I have provided a number of resources for our average internet researchers, students and teachers. The idea of truth and valid, reliable resources are being challenged because people are unsure as to what information is valid and what is not. The links below offer a number of resources that can further offer tools to help to understand how to do research properly. Detecting Fake News at its Source: Machine learning system aims to determine if an information outlet is accurate or biased. This article provides several helpful tips for determining whether or not a website is a reliable source of information. While several of these tips sound like they would be easy to do (such as determining if the source itself is reliable), the truth is, it is easy to forgot to vet a website, especially when the reader or researcher is in a hurry or when the website seems to back up the reader’s or researcher’s opinions. Regardless, anyone who uses the Internet should start taking the time to check the websites he or she is using for information. In this way, the user can be sure that the information being gathered is reliable. This article proves ” not everything you read online is true” that is such an important statement. Just because someone made it on a website doesn’t guarantee it is accurate. People forget to check the sources, find the facts, read the statements. They automatically assume everything online is facts, when it isn’t. Sometimes it can be other people’s opinions. How easy is it to Google something. This article definitely provided some useful tips on how to check to see if the website they are using is reliable. With many different websites out there we are just sitting ducks when it comes to the information that is out there. This article just emphasizes the saying that “Not everything you read on the web is true”. This article also gives great tips to show what sources are credible which in today’s society we need. I think this topic is a major issue in today’s society. People can and will find articles that either support their point, or articles that rebut the point of others. They will then use these sources to argue their point. Not caring about how reliable the source actually is. This is part of the frustration when discussing politics or any other “hot” topic. It does not seem like any one really knows what is real and what is not. I think people could learn from reading this article. In the current era of “fake news,” the truth is often times skewed. Whether it be politically biased or just factually incorrect, false information spreads like wildfire on the internet. By being able to identify what is credible, people are able to be correctly-informed on their own, without relying on others to fact-check articles. It is common for people to assume that what they read is always true because it sounds true. This isn’t always the case, and it is crucial to identify the veracity of claims presented. Online resources can be good and bad. While the reliable sources can help you support your own argument, it is bad in the fact that anyone can “look reliable” online and if we use such a source, it could take away our credibility. This article helps define what reliable source is and extremely helpful for people looking for credible sources. When it comes to writing an essay that is supported with credible sources, it can be slim to none. Many people have written papers and their only concern was completing a paper that either supports their writing or contradicts their paper. In today’s society there is so many reports of “fake news” that one’s source many not be as reliable as others. When someone uses a false source, it can make their paper less creditable. This article looks at several ways into making sure you are using creditable sources. I found this article to be very informative on making sure a website is reliable or not. Sometimes it can be difficult to tell if something you are reading on the internet is true or not, and this article helps you take the steps in finding out if it is creditable. While writing a paper or anything important, it is vital to make sure what you giving information about is true. This article gives you several ways you can make sure you are using a creditable source. This article gives very good points and advise on how to determine if a website is reliable or not. I once took a advance biology writing course that required a lot of research on science topics. In this course, we had to follow many of these steps in determining a reputable author for our papers. I was told to use google scholar instead of regular google to find articles and journals as sources to site. My point is, nowadays yes it is hard to find reliable sources on the internet, but also very easy because it is done for us (all or most reputable sources are put into google scholar). I also found that number 3 (wether or not the information presented is biased) is very difficult because most information that isn’t hard sciences (experiments) or history, will most likely be biased in a way being that it is someone else’s opinion. This reminds me of an article I recently read about intelligent design vs. evolution and it was biased both ways. The people arguing for intelligent design had their opinions on why they don’t believe in evolution, but the counter arguments were biased because of their opinions on why evolution is “real” and neither gave real evidence. This is a good article to read for those who have trouble finding reliable sources to cite from. I think “false news” Is a huge issue in today’s society. It is hard to know what sources you can trust and what sources you can’t. For example using sources such as a newspaper articles can be beneficial. This allows you to gather information and different peoples experiences at the time of the event. Using the newspaper can also offer United States and International views which could also be beneficial to your paper. However, this can also lead to lots of non-factual opinions rather than actual facts so you have to be cautious about that when using the information for your research paper. I would not recommend using opinionated articles as “evidence” to back up your ideas. Reading the primary source is a must! In order to be knowledgably on the topic you must first learn about it. The primary source serves as the original source of the topic you are researching. You can’t begin your paper without first understanding the primary source. 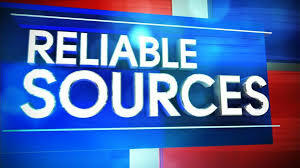 This article offered valuable information on how to find reliable sources. This will be very helpful to me during future searches. This post is greatly appreciated because on many websites, there are false information given that people use for medical, education, and many other purposes. It is important to know credible source searching technique that way you aren’t learning false information. This article will definitely help me and others that i will pass this information on in the future when researching. It’s really interesting how the article says how it doesn’t have to have a professor in the subject, but you should make sure they have background in the area and research. Its really informative as well, and I’ll take a lot of the tips into consideration when I have to write my next research paper. A lot of very good points to keep in mind when looking for a credible sources. It is hard to tell which sources are truthful or just trying to get people to buy into their false ideas. This article is about making sure what you are reading online is true. So many people these days take whatever they see on the internet and automatically assume that it is correct. This can become very dangerous, especially if it has to do with health reasons. This article gives different ways to make sure that you are using a creditable source. It is very helpful! This article emphasizes many truths that educators should be teaching their students as soon as they begin to do any type of research. With unlimited access to a wealth of knowledge both true and false on the Internet, students across all age levels are subject to the possibility of using research that is biased or simply untrue. Teachers should model proper research techniques and, just as importantly, teach their students how to support their claims and research through an adequate amount of properly cited sources. By conducting proper research through use of valid, unbiased sources, our society will become more informed as a whole and aware of our world. This article will be a helpful reminder for me as I conduct research in the future. Throughout this previous year of school, I have been exposed to the importance of finding and researching through reputable sources. This article expanded onto my previous knowledge of how you can know that a source is reliable. I really liked Robin Reichert’s explanation and ideas for finding out if a source is credible. I hadn’t thought about whether the citations of the research were in support of the claim, I would typically just trust that person knows what they are talking about if everything they are talking about in the article or presentation is logical and seems correct based upon what I already know on the topic. I now have more of an understanding of how important thorough research is to my future as a teacher in making sure to provide the most accurate information to my students. Thorough research will also help me to expand in my knowledge of my curriculum and what I decide to become certified in as well. The resources provided at the bottom are very helpful to my future in making sure my research is valid. This article provides many helpful tips when it comes to accurately and thoroughly researching. Many times, people, myself included, think that since they have read a few different sources on a topic that they have enough information to accurately write about it, but in reality that can be false. You gave the tip of checking the author before using the source, and to be honest, this is something I have probably never done. I always knew to check the source itself like “don’t use wiki” and “.org and .gov website are more credible,” but I have never thoroughly looked at the author or really examined a source thoroughly at all. Making sure you are looking at credible and reliable sources on the internet is very important when researching a subject. I think the article goes through several good points to keep in mind to make sure you are getting the most accurate information possible. With such a profound amount of information available to anyone at any time, it can be hard to find what is actually credible. This article provides a lot of information on how to determine if a source is credible. One point that I thought was so important was that time and energy devoted to research cannot be bypassed. Some people may think that they are an expert on a topic because they did research for a couple days or even a week when there are people who devote their entire lives on one topic. Another topic that I took from the article was the issue of if articles are presented in a biased way. I feel like this is an idea most people overlook while researching a topic, especially if the article is in agreement with what the reader wants to hear. It is easy to overlook something when you get some validation of your beliefs; However, recognizing that an article may be biased is an important task. What I found to be really interesting (and important of course!) was to look at the author or organization who put out the piece. For years all I’ve been told was to look for sites that end with .edu, .gov, or .org. I had never thought about looking at the author or publisher of the source as well. I feel like that also ties into tip #3 as well. If an author is known for publishing biased pieces or work, you should be leery when looking at their stuff. As a college student, I think this is a great tool to look back at when I need to find sources for assignments. A lot of teaching is based on research proven methods, so this is also something I can look back to for the rest of my career! I really like how this article walks you through steps on how to find if a source really has reliable information. You have to identify the source and decide if it is written by someone with “authority on the subject matter”. You can compare the information to a source that you already know is reliable to see if it is accurate. You also need to check if the information is presented in a biased way by decided whether the information is unrealistic or if there is evidence to back it up. Another good way to check a source is to look for further citations that back up their claims. It is important to base your research on credible resources in order to share accurate and appropriate information. This article demonstrates what it means to find good research material. As a college student, I know the importance of good, reliable sources for my own work, but thos article helps me have an advantage as to how to detect what is considered reliable versus what is not. I also find it incredibly important that it is noted that one should be cautious of bias. Often times in heated arguments or debates, people will use an article or personal experience to prove their point when it is completely biased. This article explains why that can be a problem. As a future educator, I find this article to be very knowledgable, helpful, and academically sound research as well! This article does a great job explaining how to do better about finding credible sources when researching different information. I would have to agree with students needing to do more research and learning how to find more valid information. So often you find everyone using the first site they find on google and using it as bible. The problem is, when students trust things just because it’s on the internet and don’t look at the credibility behind the information they find, students are making their own biases and judgements based on uncreditable information. It’s an endless cycle of misinformation that causes prejudices. Article is very vital and important if you question how you cite sources. there is great tips and information stated to help guide you to the correct websites so you can use a reliable and credible source. The internet is not a trusting place and a lot of people fail to see that and automatically believe everything they find on the internet and I think that why this has become so important. I found this article very helpful as I have a couple classes that have projects that involve research. When you have to do research that may be done using more than scholarly articles, it can be tricky to find good websites with valuable information. I liked how this article included how to do research and how to look for the author’s name and the sources they used to find their information. I will use this information in my future work, and be more careful when choosing sources and making sure they are credible. This article serves as a great reminder for me to make sure that the information I am getting is valid and reliable, regardless of whether or not it is for school. I think it is also a great reminder for anyone out there who tries to debate different topics, regardless of the sides. It is extremely important to get your information from multiple sources and be well informed first. The 4 points in this article about what to consider when trying to verify if a source is credible would also be useful in my classroom. They are 4 simple reminders that I can teach to my students when they are doing research. Understating not everything posted on the internet is true research is a lesson many people need to learn. Often even sources that appear trustworthy may present untrue or biased information. The five tips listed in the article are ways all people can check the validity of their sources, whether they are collecting information for an essay or merely because they are interested in a topic. The last tip listed that explains the differences between .com, .org, etc. is an extremely easy method to use, and certain domain endings can even be specified in google searches. I found this particular article extremely helpful. As a science major we often write research papers. Most of these papers are theoretical topics, or topics that we can not have a physical experiment. This makes us have to rely on the work of scientist who can or have done the experiment. Knowing if it is a credible source can be important because we cannot check the data ourselves. The title alone sparks many questions for me and personally triggers a special kind of anxiety that I discovered only recently since starting college- that there is nothing you can believe with unwavering 100% trust. Once having read the title I was flooded with the following questions: Why is reliable information so hard to find? Can we even trust “scholarly” evidence, research, studies or journals? And if so, how do you know? Isn’t it true that scholarly or academic research or literature can be corrupted just as easily as the media? Why is scholarly evidence so inaccessible? It is hard to find, often extremely difficult to interpret, lengthy and can also be expensive! The information given in this article is somewhat helpful but doesn’t ease the concern of the reliability of information, at least in my opinion. If I am going to mold and shape what I value and believe in based on what I research, which happens subconsciously whether you want it to or not, reliability should be of utmost importance. There are people in the world who are unaware of the process of finding reliable sources. In today’s society, pretty much anything can be put on the internet; but not everything that is on the internet is valid. This article is to help individuals understand how to identify the fake, irrelevant, and invalid information from the valid ones. I feel that everyone should be able to learn these skills, because at some point in one’s life they will come across an assignment that requires research. This is such an important topic to be talking about with students! I have seen countless students list “Google” as a source where they got information. It can be more and more difficult in today’s age to distinguish between truth and fiction. Further complicating the matter, we have the President of the United States charging journalists with pushing false narratives -calling into question one of the most important aspects of our democracy. Teaching students to think critically not only about the articles they are reading, but also about the sources of that information is a necessary skill in this tumultuous period. I really liked this article because it’s so important to use credible resources when researching something yourself, and as an educator, to instill that same mindset onto your students when they are using online resources for various school projects. With today’s world, It’s common to find mistakes or biased opinions online that trick people into believing its true, when in reality, it’s a matter of opinion, bias, or down right not based on fact. I like how this article had a section dedicated to a simple way of ensuring you are using a credible online source, which is to look at the end of the link – if it ends with .gov or .edu, it’s safe to say that the resource is credible, while websites that end in .com can be more tricky. I feel like this topic ties well into believing everything the media tells you, as a lot of media outlets can be biased towards one thing more than the other, and that’s something we, as a society, must look out for and be aware of as well. This article is so important for educators and students alike. All throughout school I remember teachers telling us to avoid using unreliable sources for any sort of project. However, I don’t ever recall being told how to recognize the differences or what sort of sites to avoid (besides Wikipedia). Nowadays, it’s so much easier for anyone to create a fake website and fill it with nonsense so people using the Internet for research have to be even more aware of signs of unreliable sources. I love how this article walks you through the process of figuring out if your source is reliable, rather than just taking everything at face value. This article is something worth sharing to everyone, academic purposes or not.